You're teaching these children the skills needed for greater independence. We're here to support you. 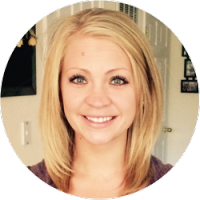 Jade has worked for ORP since 2011 as a Special Education Teacher. She grew up with a brother diagnosed with autism and worked for four years as a line therapist for an autism treatment program. She enjoys outdoor activities such as snowmobiling and canoeing. It's only normal for parents to want to be everything to their children. That's a tall order for any parent, but when your child has Prader Willi Syndrome, "everything" is more than any one person can be. Read about how one parent learned that letting experts help manage his son's disorder give him the chance to focus on being a father. It's not just about your child being picked last for the kickball game or not making new friends at school, it's about the derogatory comments towards your child from other children or the lack of empathy from the adults in his/her life. Finding the right tools to help your child with Asperger's and Autism Spectrum Disorder and educating those who interact with your child, will help lead you all down a path towards a bright future for your child. Each year we reflect on the anniversary of Newtown. During the recollection, let's make sure that we strengthen our commitment to preventing this from happening again, anywhere. One way is to read this emotional plea by Christine Walker, mother of a son afflicted with mental illness. Maintaining an open line of communication with parents is important and often difficult, even in the best of circumstances. This is especially true when a struggling student is being evaluated for a possible disability—and an IEP—and a teacher’s continued updates throughout the process can provide worried parents with much-needed reassurance. 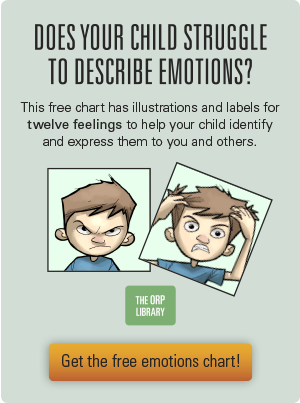 Some children have difficulty understanding their emotions, which can sometimes lead to class-disrupting episodes of anger. By working closely with students and using strategies like emotional scaling, teachers and educators can help students better understand emotions, changes in intensity, and coping strategies, which often leads to increased self-control in the classroom. Collaborative Problem Solving (CPS) is an effective alternative to delivering negative consequences to students who aren’t consistently following basic classroom rules and expectations. A relationship-based, nonconfrontational approach, CPS helps teachers and students work together to understand everyone’s concerns, then arrive at a mutually beneficial solution. Christine Walker, author of Chasing Hope, was on hand last week for the announcement that the White House would issue the final rules to the Mental Health And Addiction Parity Act of 2008. Thirty-Three years overdue, this change will have a momentous impact on the lives of those sufferering from mental illness and addiction. Lori Hetzel is the mother of a child diagnosed with reactive attachment disorder (RAD). She describes the struggles her family encountered obtaining special education and resources for their daughter after they adopted her from Russia at age nine. A reflection on the beauty of special education staff and their dedication to the kids with disabilities that they serve. Bodies of Light. The ORP Library is a trademark of Oconomowoc Residential Programs (ORP). All rights reserved. For permission to reprint content please contact orplibrary@roundtablecompanies.com. Sign up here to receive regular updates on new content and stories from The ORP Library. We promise not to spam or share your information with anyone. You can unsubscribe at any time. But we think you'll like our heartfelt stories and helpful information. Thanks for joining us! © Oconomowoc Residential Programs, 2015. All Rights Reserved.